When will the top part of Killington Road get paved? Mike Solimano: The resort is planning on paving several sections of the upper Killington Road. We planned to have this work done in July but delays have pushed this date out to September. Unfortunately, with all the state paving projects going on, the resort ended up at the bottom of the list from a priority standpoint. In the meantime, our staff has started filling in smaller holes on parts of the road. We expect that the more significant paving work will indeed happen in late September. What impact will the lawsuit in Park City have on Killington? 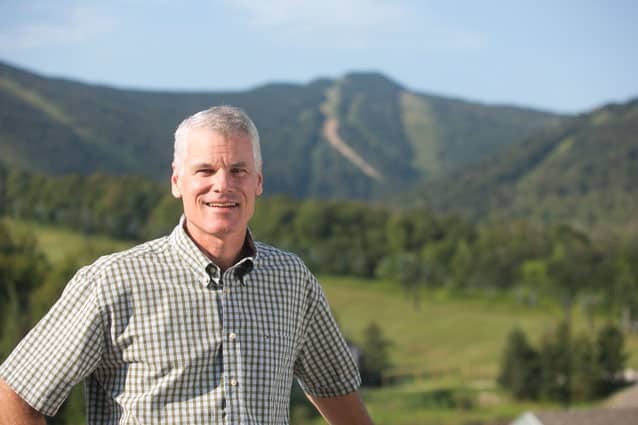 Mike Solimano: This litigation has been going on for several years, and during this time, Powdr has invested more than $15 million in capital in Killington Resort and Pico Mountain. We continue to operate unencumbered by what is happening in Park City, Utah, and we do not believe this will harm future operations at our resorts. In fact, just this year, after all capital had been allocated between the resorts, Powdr went above and beyond giving Killington additional funds to invest in nearly 400 new energy-efficient snow guns as a part of Efficiency Vermont’s Great Snow Gun Roundup. The snow guns were valued at over $2 million, with additional $91,000 in installation costs. This example, among many others, shows that Powdr is invested in the long-term viability of Killington and Pico. Will the Spartan World Championship continue to be held at Killington Resort in the years to come? Killington Resort has proudly hosted the Spartan Races for the past few years. This year, we are expecting the race to be a similar size as last year, bringing thousands of athletes and their supporters to the region. Lodging establishments have been filling up fast, which is great to see. We are currently working toward a multi-year contract with Spartan, which will hopefully work out to everyone’s mutual benefit.